The International Monetary Fund (IMF) has asked Pakistan to ensure primary surplus on budget deficit to move ahead with the programme, leaving it with the hard choice of either slashing down its defence or development expenditure. The budget deficit has to be curtailed within a range of 4 to 5 percent of GDP during the programme period. Moving towards a free float of the exchange rate and hiking power tariff by 22 percent are among other major stumbling blocks to the way of evolving a staff-level agreement between the two sides. For achieving a primary surplus on the budget deficit front, official sources said the government will have to restrict deficit in such a way that ensures out of total revenues minus total non-interest expenditures within the vicinity of 4 to 5 percent of GDP during the programme period. This indicates that interest payments could only be hiked, while the government will have to make choice between cutting down defense and development spending for achieving reduction in budget. “So the government will have to make hard choice either to cut down defence or development spending if Islamabad wants to move ahead with the IMF programme,” said the official sources. 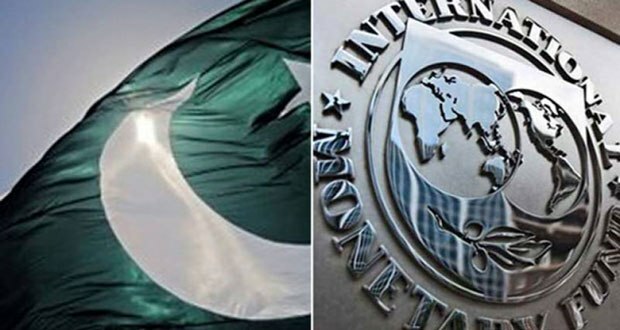 Pakistan will have to implement all ‘prior actions’ for evolving a consensus on staff level agreement with the IMF otherwise the talks would stall at the present stage. Pakistan and the IMF do not agree on revenue projections of the FBR because the Fund mission calculated the FBR target on the basis of devaluation of rupee ranging beyond Rs150 against US dollar but Islamabad refuses to accept this kind of adjustments in one go on immediate basis. The IMF wants to jack up the FBR collection to more than Rs4,550 billion for the current fiscal but the FBR authorities want to keep it close to Rs4,455 billion. 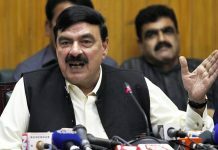 “We will take more additional revenue measures with or without the IMF by jacking up the tax rates on POL products,” said the official and added the rising inflationary pressures would also help increase tax revenues for the purpose of curtailing the budget deficit in the current fiscal year. Some non-economic factors for curtailing the China Pakistan Economic Corridor (CPEC) are also hindering consensus on the staff level agreement. 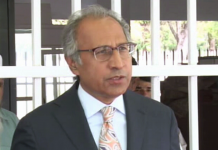 The obtaining situation might force Islamabad to ask some important players of the IMF executive board to play a role to soften the IMF team’s stance on the pace of adjustments of different contentious proposed measures. 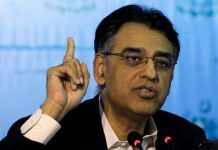 The truth is that IMF guys felt so pissed off at Asad Umer’s immaturity and poor negotiation that they simply left the venue. Imran needs to appoint some sane technocrat like salman shah or doctor ishrat.